Posted by Gerald Lombardo on Wednesday, February 13th, 2019 at 11:50am. 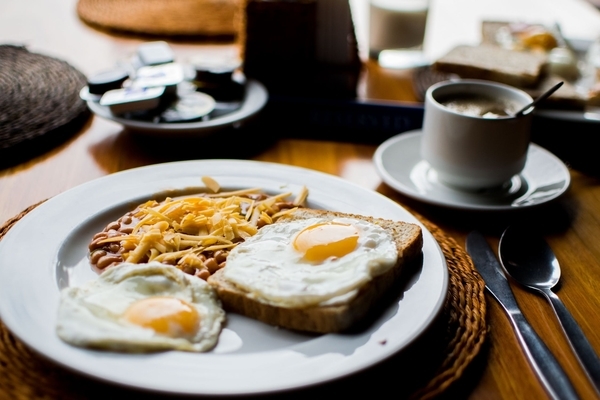 There are few things in life more pleasant than a relaxing and delicious local breakfast. Thankfully, for those who live in South Florida, The Palm Beaches have a variety of great restaurants to satisfy your morning hunger. Here are three of our favorites. Whether you’re a fan of big American breakfasts or eye-catching art, you won’t be disappointed at Howley’s. The walls at this eclectic West Palm Beach diner, which dates back to 1950, display a rotating selection of artwork from local talent. The kitchen features breakfast staples like corned beef hash and eggs, French toast, Belgian waffles, and much, much more, all of which is made with organic, locally sourced ingredients. The kitchen at The Nook in Jupiter churns out decadent breakfast specials like chorizo benedict, pumpkin waffles, and, occasionally, they serve a delicious crab omelet made with locally caught blue crab. If you can snag a seat at this locally owned eatery, which is often packed, you’ll be welcomed with open arms and before sitting down for an unforgettable meal. Run by a husband-and-wife team, Hobo’s in North Palm Beach serves an extensive menu of omelets, pancakes, French toast and more. Dieters can partake in dishes like the Breakfast Crunch (granola with nonfat yogurt and fresh fruit) or the Low Carb Pileup! (eggs, bacon, sausage and ham), while diners in the mood to stuff themselves can opt for The Belt, which comes with bacon, eggs, lettuce, tomato and mayo on sourdough toast with potatoes or grits on the side.